Ashraf Ghani Ahmadzai | . :: Elections 2014 ::. Education: Graduated from Habibia high school in Kabul; received BA at the American University of Beirut; and PhD in Anthropology from Columbia University of the United States. Work experience: He had extensive experience at the World Bank, and then later as a lecturer at Kabul University, Arroz University of Denmark and John Hopkins University in the U.S.
Ashraf Ghani was appointed Economic Advisor in Hamid Karzai’s transitional government and was responsible for reconstruction and foreign aid to Afghanistan. After the Loya Jirga in 2002, he was appointed as Finance Minister. He resigned from his position in 2004 and became head of Kabul University. Mr. Ghani also served as the head of the Security Transition Commission. Ghani was a Presidential candidate in the 2009 Presidential elections. For the 2014 elections, his First Vice President is General Abdul Rashid Dustom and his Second Vice President is Sarwar Danish. 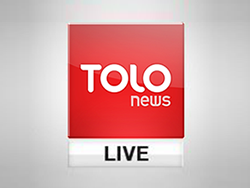 To watch TOLOnews’ exclusive interview with Ashraf Ghani click here.